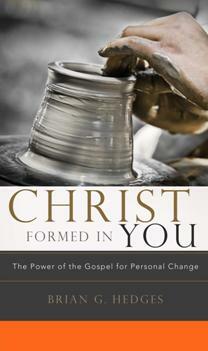 The editing phase of Christ Formed in You was documented at another blog. There you can learn about the author (Brian Hedges), the editor (Kevin Meath), and the publisher (Shepherd Press) who were willing to take some of the editing process public. Now, with the book scheduled for release on October 1, 2010, we continue the openness by releasing 22 excerpts, representing about 20 percent of the book. We are also offering the book at a pre-release discount of 44 percent. Get all 22 excerpts via email by signing up here.